Predictive models are built by observing the past behavior of the parameter of interest as well as the effect of those factors that affect its behavior, and then building a mathematical relationship between them. For example, in order to predict loan default, relevant historical on all the past defaulters would be studied in order to establish a mathematical relationship between defaulting behavior and other characteristics of the defaulters. This relationship is termed a Predictive Model. 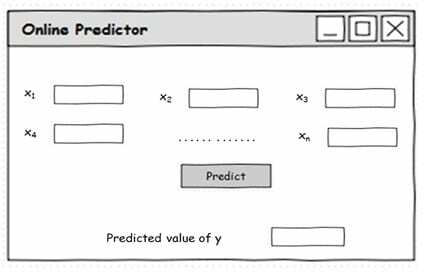 The name Predictive Model derives from the fact that given a mathematical relationship, and the values of the affecting parameters – often termed the predictors – it is possible to predict the value of the parameter of interest, which is itself called the dependent variable. Where y is the dependent variable, i.e. the parameter whose outcome we are interested in predicting, and x1, x2, x3, x4…. xn are the independent predictors, which affect the behavior of y. Note that, in more complex cases the model may become more challenging, with the outcome of y becoming dependent not one, but on a system of equations. The choice of technique generally depends on the nature of the problem as well as the characteristics of the variable to be used in the analysis. These techniques are available in Predictive Analytics software such as SPSS and R.
Scoring is the method of substituting the value of the independent predictors in the mathematical relationship obtained by the modeling process, in order to obtain the ‘prediction’ for the parameter of interest. 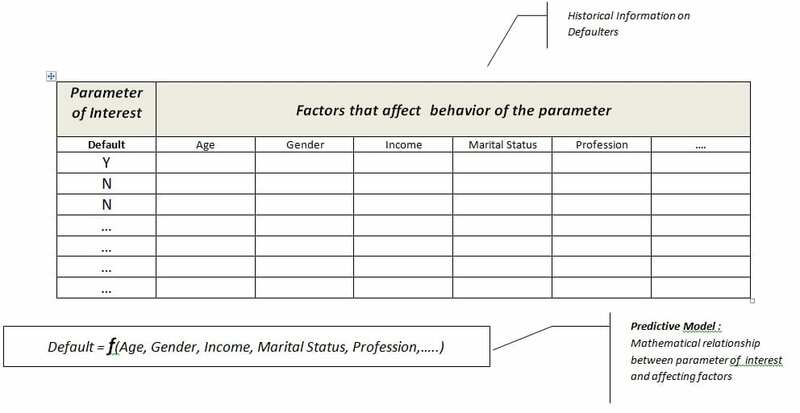 In the above example, newly observed values of the predictor variables Age, Gender, Income, Marital Status and Profession may be applied to the mathematical relationship, in order to obtain a predicted value for the parameter ‘Defaulter’ . In the first two cases where there are significant challenges of computation and understanding of the theory behind the model, in the last case the scoring gets restricted to only those who have access to modeling software. The model y = f(x1, x2, x3, x4…. xn) is very powerful. For by predicting likely outcomes, it allows decision makers at all levels to decide their future course of action more objectively. However, given the skill levels required to actually use it, its use is not in the easy reach of those who can benefit the most, but yet do not have the necessary skills to understand complex mathematical models. 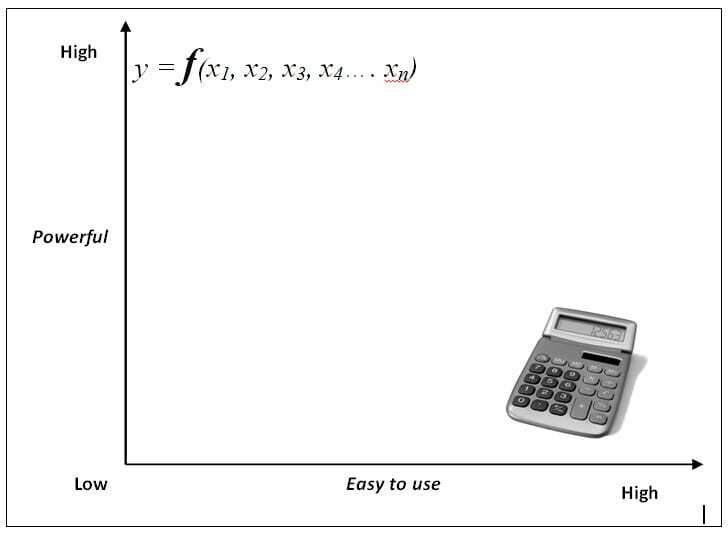 This is depicted in figure 1, which also shows that in comparison, the humble calculator, though not a very powerful tool, is nonetheless very easy to use. 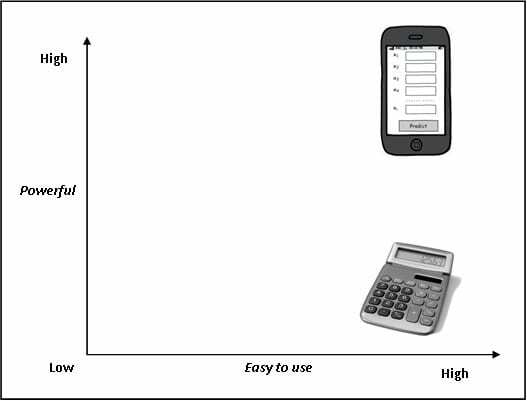 In figure 1 above, can we shift the model to the right , so that while retaining its power , it becomes as easy to use as the calculator ? This is the challenge that deployment addresses. In other words, deployment is the process of presenting a Predictive Model to the untrained end-user, so that while he or she can take full advantage of its power to predict outcomes, without an associated learning curve. This can be achieved by translating the model via an application into an online form, somewhat like in figure 2, where the user inputs the values of the independent variables and the application returns the predicted outcome at the click of a button. Also Read TensorFlow Vs Caffe: Which Machine Learning Framework Should You Opt For? Once this is achieved we have an effective system for deployment that makes it possible for the untrained end-user to harness the power of Predictive Models as easily as a calculator, as shown in figure 5. 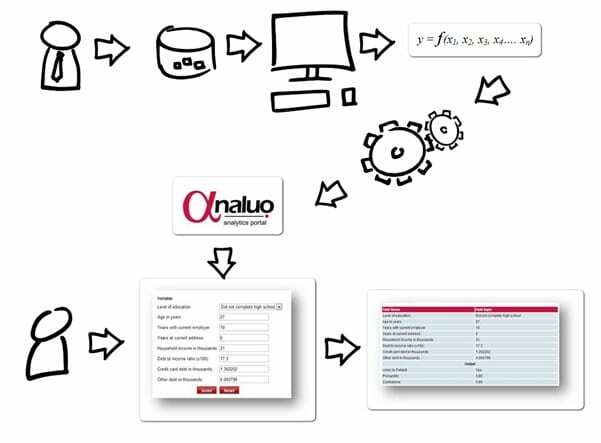 Analuo is a deployment portal for analytics, intended to enable organizations in operationalising their Predictive Analytics initiative. With its patent pending technology for online prediction, addresses this challenge of deployment. As depicted in figure 6, an analyst uses data in SPSS or R to build a Predictive Model. This Model is now exported out as a PMML file. PMML, standing for Predictive Model Markup Language is an open standard defined by the Data Mining Group (www.dmg.org) for defining and sharing Predictive Models. 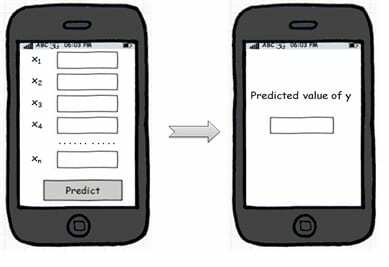 The Predictive Model, in PMML format, is uploaded to Analuo, which dynamically creates a interface, in the shape of a Prediction Form based on the model, which can is delivered either via a browser or on a Smartphone using Analuo’s Android app. An end-user, even though not skilled in the techniques of Predictive Modeling, now has to simply enter the values of the independent variables or predictors in the form to obtain a prediction. Sumit has over twenty years of experience in Predictive Analytics, the last fourteen of which were with the SARC and India operations of SPSS, which he helped start. During this period he was instrumental in raising SPSS from obscurity and making it one of the most widely used and accepted statistical software in India. Having seen from close quarters the use of analytics in research, academics, industry and government, he was inspired to create Analuo, something that he feels will help bring the benefits of Predictive Modelling to grass-root levels. 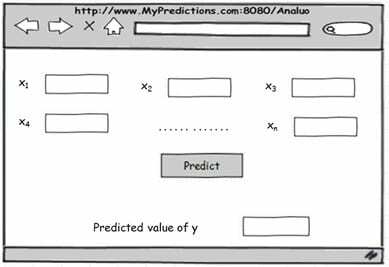 Sumit , good article which explains Predictive Analytics and its deployment to beginners .Thanks. Very informative. A good read where the pictures says it all. Thanks for neatly explained article.